Saturday as I was working outside on a glorious spring day out of nowhere came the words to an old Easter song I remember from my childhood by Irving Berlin. And then I thought how typical of us, especially as women, particularly me, to make Easter about fashion and how we look. I loved making or buying adorable new dresses or little suits for my children for Easter Sunday. New clothes help us mark an occasion as set apart or special. Nothing wrong with that. But I realized Saturday in hindsight that my motive was also so my children would be noticed for how cute and adorable they were. Not exactly the devotion to Christ the Resurrection deserves. Happily there is grace for my shortcomings and mixed motives. 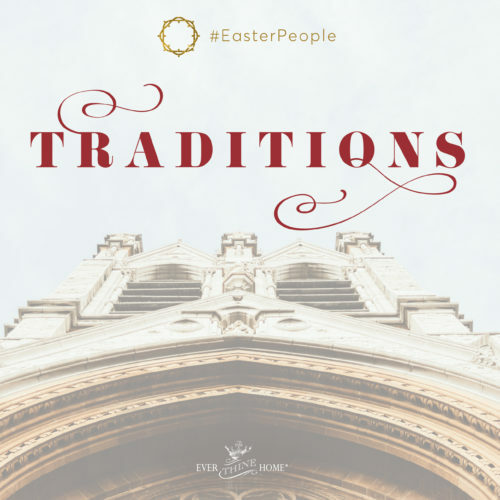 And then there are those old fashion rules, who makes those anyway, declaring the wearing of white or linen before Easter an embarrassing faux pas. Pondering this I realized that somewhere someone understood that believers in Christ will one-day wear white linen in heaven. 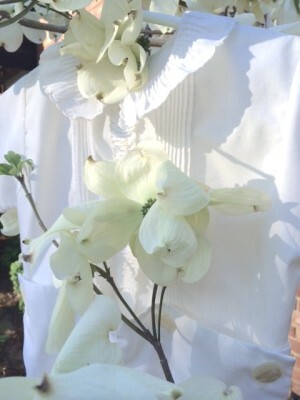 Wearing white for the first time on Easter Sunday symbolized not only our future, but also symbolized the dramatic change from the dark drab of winter to the clean newness waiting for us because the resurrection. By sporting some white we declare our identification with Christ, our hope for the future, our joy in this greatest victory of all history. 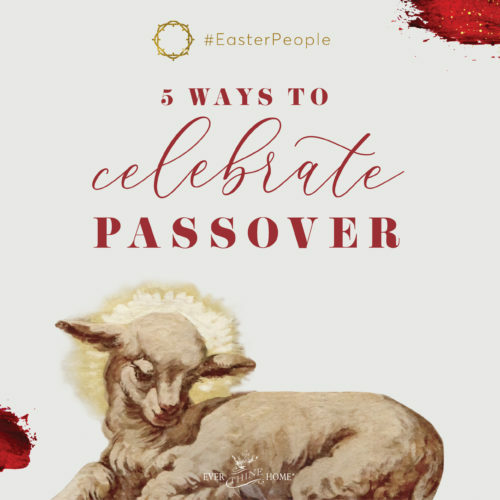 So as you prepare for Resurrection Sunday go ahead and plan something new, to remind you of your new life in Christ, and something white, to remember that tho your sins were as scarlet they shall be white as snow. 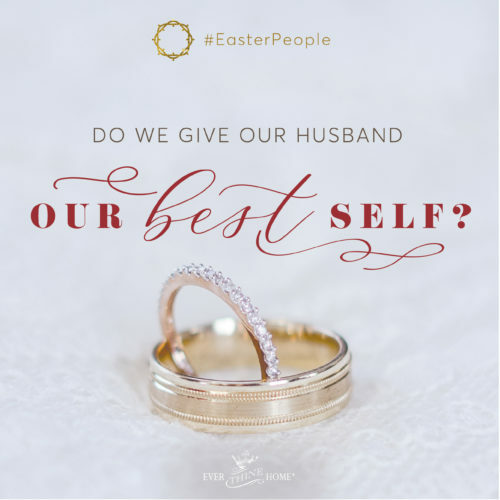 But make sure your heart is focused on celebrating the Savior not on being the grandest lady with perfectly adorned children in church on Easter Sunday. To SarahC.-Its the same outfit at my parish also for the girls easter baptisms.It is somewhat of a tradition for the preteen and teen girls to change into their cute Easter dresses after their baptism and wear their baptism bonnet with their dress and their baptism diaper and plastic pants under their dress. That’s What I suggest to my apostle about wearing white on Easter. Because we ministries where black on the first Sunday in the months. So I suggested that we wear white this Easter Sunday. Our parish does baptisms over easter and the boys wear white suits and all of the preteen and teen girls wear the traditional white,poofy,knee length,short sleeve baptism dress and matching bonnet,with lace anklets or tights,and white patent leather shoes.Under their dresses,they wear a white cloth baptismal diaper with plastic pants over it represent their purity of an infant.